I met Darren when I was in middle school. We were friends for years but not really outside of our youth group. When I was about 16, I started to have an innocent little crush on this flirtatious soccer/baseball playing carefree guy. I even had a dream that I would marry him. 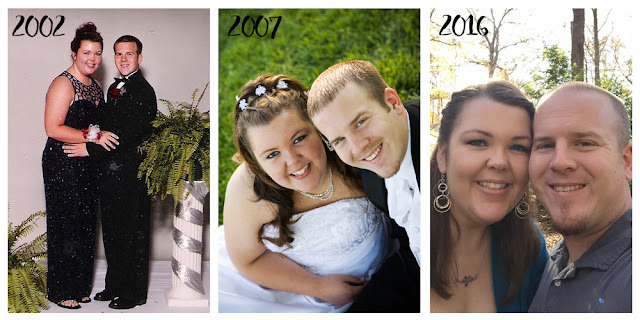 The crush became mutual and the first time he kissed me, I said "It's about time" :) 6 years later we were married (April 21, 2007) and now have been married for almost 10 years. Through the years, we've definitely grown up together. He's my best friend. I miss him when he's not around. He makes me laugh and he makes my heart smile. He knows what I'm thinking just by my facial expressions (which by the way are pretty much an open book). To say I've been blessed to have the opportunity to love this amazing man is an understatement. He's a hard worker and he makes me feel loved and protected. I'm a lucky girl. He's also an amazing daddy to our sweet little boys. It was always hard to imagine that I could possibly love him more but seeing him now with our kids.... well... it's awesome. We've had an interesting past few years. Drastic decisions always lead to lessons learned. Hard lessons. 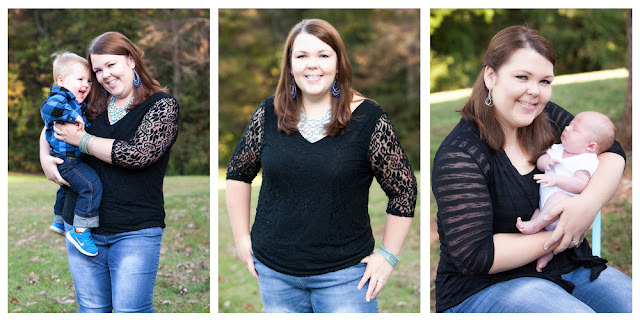 Lessons that have made us step back, relinquish control and let God do His thing. We've moved a "couple" of times (rented our house out, moved in with the inlaws for almost a year, then into an apartment, condo, bought a townhouse, sold the townhouse, moved into my parents' basement, whew!). 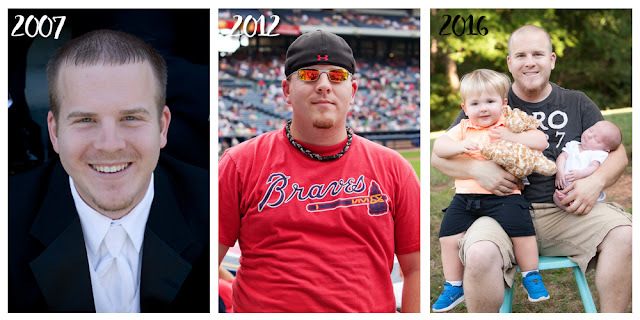 I had major surgery (Vertical Sleeve Gastrectomy- 2013) after years of not being able to lose weight on my own (see progress page). Darren had a couple job changes, as did I. So we will continue to make decisions (preferably after much prayer) and we will surely learn more lessons. But that's what life is about. We were married for 7 years before kids came into the picture. This wasn't necessarily by our choice. For years, we wanted children. We sat back while all our friends were having kids. We were heartbroken and often asked God "why not us?". But, man oh man, does God know what He's doing. I can look back over those years now and see the "why". We weren't ready! We weren't ready to sacrifice ourselves or for the responsibility, among other things I'm sure. So now, we are insanely blessed with 2 amazing little boys. When Maddox (our firstborn) came along, I felt like my heart could explode. I look at him often and think "Lord, thank you for this amazing miracle you've blessed me with". Now... he's 2 so, of course, he has his typical 2 year old moments but he is the sweetest and funniest and cutest kid I've ever come across. I'm allowed to say that... I'm his mama. Then 21 months later, we were blessed with baby #2... Sawyer. I was scared out of my mind to have 2 so close together but I can't imagine life any other way. 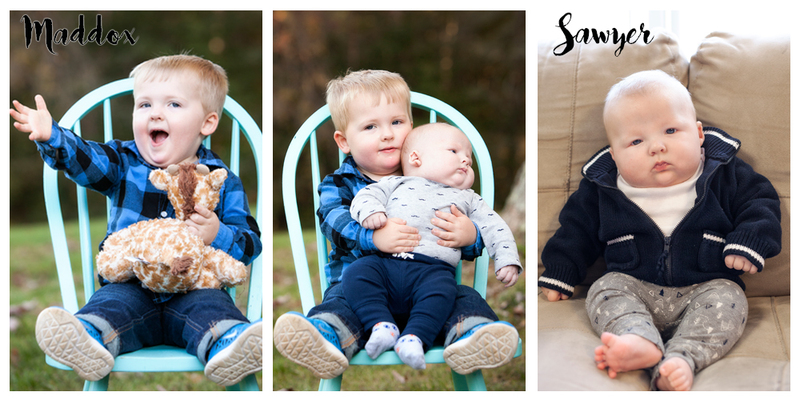 I love watching these boys grow and I'm so happy to be their mama. So from here....I will keep working on me. I will work hard to accomplish my many goals and dreams. I will decorate and be proud of whatever home I'm in at the moment. I will strive to be the healthiest and fittest I've ever been. I will be a better wife, a better friend, and a better person all around. Feel free to stick around and see where this life takes us. I'd love to get to know you as well. I am looking forward to keeping up!!! I'm just loving your blog here! Where are you located (since you said you are in the South.. me too!)? Just found your blog after noticing your comment on the Nester's blog. We seem to live in the same area! Looking forward to checking everything out around here. :) Take care!